Shown here with his wife Tootsy, Sen. Sonny Angara is able to balance work, play and family time while still looking hip and cool which is definitely the perfect representation of a Blackwater man. 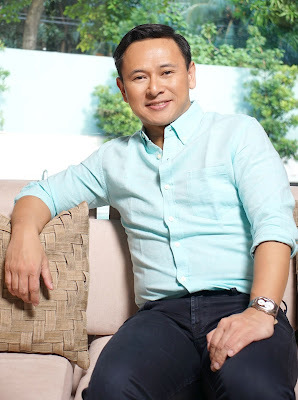 If Senator Sonny Angara were a scent, he would be a cool and fresh scent with citrusy notes. With his charismatic smile, pleasing personality and a compassionate heart for women, senior citizens, persons with disabilities, it’s hardly a surprise that despite setbacks in his life and career, he always comes up smelling of the proverbial roses. But this does not only translate in his political persona. Outside the world of politics, he is just as cool a father and husband. Basketball is his preferred form of de-stressing. Luckily, he gets to incorporate his love for the sport with his work. 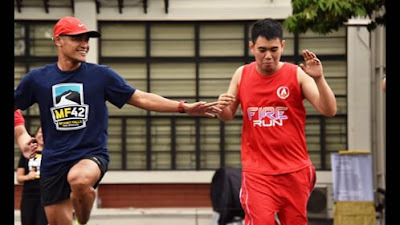 He is the chair of Samahang Basketbol ng Pilipinas (SBP) and vice chair of the Senate sports committee. “It’s (basketball) a chance to get to see my friends and build camaraderie with my co-workers,” he said. While he may have already achieved so much in his career, having sponsored and authored more than 80 laws throughout his 14 years as a legislator, he still has big dreams for himself and his family. A man who is able to balance work, play and family time while still looking hip and cool, Angara is definitely the Blackwater man.